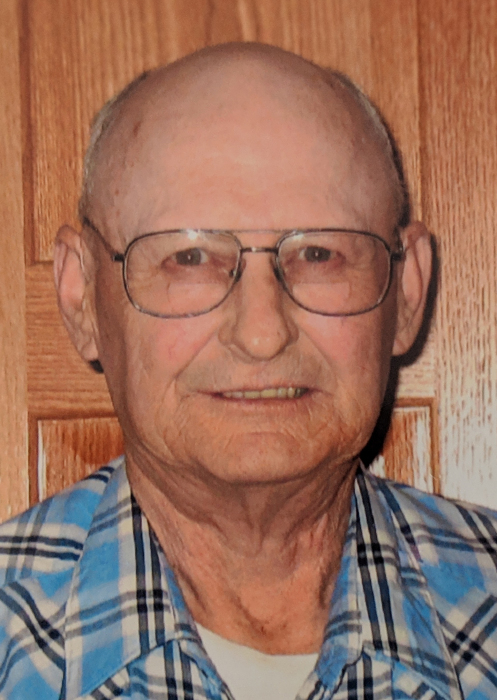 Roger Platt, 76, of Breckenridge, MN, passed away at his residence on Friday, November 23, 2018. The funeral service will be held at 11:00 a.m., Tuesday, November 27, 2018, at Joseph Vertin and Sons Funeral Home in Breckenridge. Visitation will be one hour prior to the service at the funeral home and Pastor Mark Manning will be officiating. Roger was born at St. Mary’s Hospital in Wahpeton, ND, on January 5, 1942, the son of Norbert William Platt and Grace Alta (Osborn) Platt. He grew up on a farm north of Breckenridge where he attended Brushvale School. The family later moved to Campbell, MN, and in 1960, Roger graduated from Campbell Public School. One month after his graduation, he joined the United States Army on June 1, 1960. He spent a year in Korea before being placed on inactive duty until his honorable discharge on June 30, 1966. From a previous marriage, he had 7 children. On June 30, 1973, Roger was united in marriage to Karen Oscarson. They made their home together in Breckenridge, MN, and were blessed with three children. He spent most of his career working for Robert Miller and J & J Miller Farms from 1969 to 2008. Roger cherished the time he spent with his family and especially loved watching his children and grandchildren grow up throughout the years. His family and friends couldn’t help but smirk and understand when Roger gave them a “hard time,” it was a gesture of his unwavering love. He was known for keeping his lawn in prestigious condition and would tease his family at times when he would walk through their yard saying, “you should really pick up some of those sticks.” Roger truly had a kind heart and loved making memories with his loved ones. He also enjoyed playing cards and hunting. Roger is survived by his wife, Karen Platt; daughter, Tanya (August Jr.) Wieser of Rosholt, SD; son, Mark (Stephanie) Platt of Breckenridge, MN; children, Scott Oyler and his family of Washington, Robin Gross and her family of Idaho, Randi Goodwin and her family of Washington, Ray Oyler and his family of Washington, Rhonda Grubbs and her family of Washington, Chellie Butler and her family of Washington, and Kelly Adams and her family of Oregon; grandchildren, Amanda, Alyssa, Abigayl, Zoey, and Emalee; great-granddaughter, Brynlee; siblings, Faye Wolfswinkel of Campbell, MN, June (Brad) Foster of Wahpeton, ND, and Verne (Sue) Platt of Lansford, ND; many nieces and nephews; uncle, Howard Osborn and family of Fountain Hills, AZ; father-in-law, Lynal Oscarson; brothers-in-law, Gary (Kathy) Oscarson of Cypress, TX, Mike (Charmaine) Oscarson of Goose Creek, SC, and Dale Oscarson of Atlanta, GA; sisters-in-law, Ruth Midboe of Fergus Falls, MN, Phyllis (Jeff) Kephart of Grayslake, IL, Jill Oscarson of Pleasant Prairie, WI, and Susan (Dan) Flor of Summit, WI. He was preceded in death by his son, Jason Platt; parents, Norbert and Grace Platt; mother-in-law, Baris Oscarson; and brothers-in-law, David and Richard Oscarson. There's still time to send flowers to the Visitation at the Joseph Vertin & Sons Funeral Home from 10:00 AM to 11:00 AM on November 27, 2018.